Established in 1910, the Bowling Green University is a large public research primarily residential university located in Bowling Green, Ohio, United States of America. It also has a satellite campus in Firelands in Huron, Ohio. The university offers over 200 programs through its eight colleges such as College of Arts and Sciences, College of Business Administration, College of Education and Human Development, Firelands College, Graduate College, College of Health and Human Services, College of Musical Arts and College of Technology. The most popular programs at Bowling Green State University are Education; Biology/Biological Sciences; Psychology; Education/Teaching of Individuals in Early Childhood Special Education Programs; and Special Education and Teaching. The university follows a semester based academic calendar. The university has an approximate student population of over 16,900 of which more than 14,300 are enrolled in undergraduate programs. The student to faculty ratio at the university is 18:1 and the acceptance rate is 75%. The university remains a leader in teacher preparation and was ranked 127th among America's Best Education Schools by U.S. News & World Report. 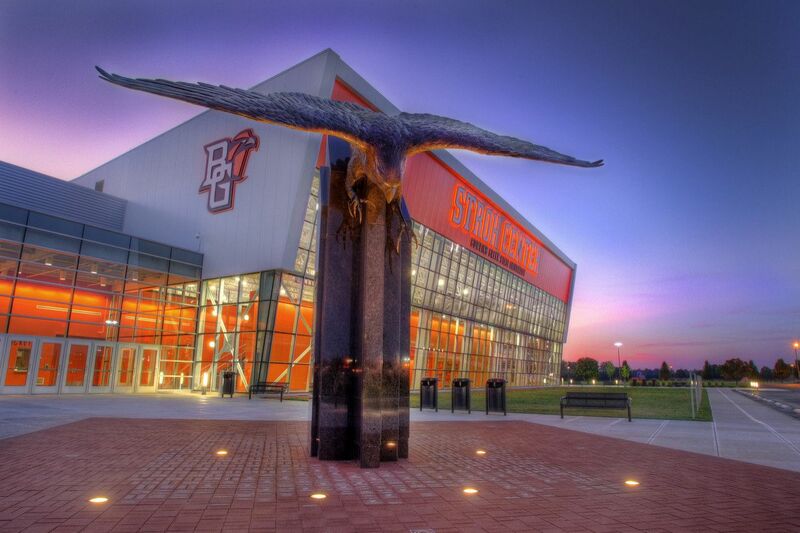 BGSU was ranked 97th the Top Public Schools ranking by U.S. News & World Report. The Carnegie Classification of Institutions of Higher Education classified Bowling Green State University as a Doctorate-granting Research University with high research activity. Accounting And Management Information Systerm M.Acc. The mission of the M.Acc. program is to build upon the base of knowledge obtained at the baccalaureate level and to further nurture the personal and professional development of those interested in graduate education in areas relevant to the practice of public or corporate accounting. The undergraduate curriculum for a specialization in accounting is designed for the student who wants to prepare for a career as a professional accountant with industry, government, or nonprofit organizations or for public accounting practice as a Certified Public Accountant (CPA). Africana studies provides majors with a base of knowledge and skills that are international and interdisciplinary. It focuses on people of African descent in Africa and in the African diaspora on six continents. Drawing from several disciplines, Africana studies offers courses that provide insight into international connections and prepare majors to examine issues and concepts from a variety of perspectives. The M.A. curriculum offers a foundation in the study of American culture for students with a variety of interests or goals. Primarily, we seek to communicate a sense of the complexity and diversity of the American national culture through systematic analysis of its elements. This approach is relevant equally to students who might pursue a career in education in some aspect of American culture; those who might engage in such professions as journalism, public relations, advertising, government, marketing, etc., where a knowledge of American culture is important; or those seeking enrichment of their understanding of American culture. An interdisciplinary program dedicated to the holistic study of American culture, society, and institutions, American Culture Studies offers students individualized programs that focus on the American experience. Courses help students to develop the skills appropriate for the study and appreciation of American culture in all of its diversity. The program enables students to integrate the substance of other disciplines into coherent patterns reflecting the complexity of American life and our national heritage. f) TOEFL/IELTS/PTE/MELAB scores if the applicant’s native language is not English. i) TOEFL/IELTS/MELAB scores if the applicant’s native language is not English. Graduate: Fees vary for each program. The annual cost of living at Bowling Green State University is $12900 approx.